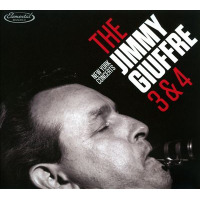 Jimmy Giuffre's jazz has got to be among the sparsest ever laid down; you can see a whole lot of daylight between the notes. But the sketch-like quality of his music belies a quiet intensity that has an almost hypnotic attraction. This is not jazz that jumps out at you and grabs you by the lapels. It is, rather, jazz that trickles out in droplets, coalescing into music midway between the eardrum and the subconscious. For those who have come under its spell (guilty! ), it is as irresistible as it is inscrutable. Giuffre's relative neglect may be attributable to his music's elusiveness, but it has not been aided by his former labels, who have yet to reissue many of his classic recordings. 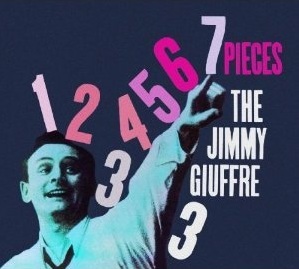 Most of these were made with the Jimmy Giuffre 3: initially with guitarist Jim Hall and either bassist Ralph Pena or valve trombonist Bob Brookmeyer; later with pianist Paul Bley and bassist Steve Swallow. Verve's new reissue of The Easy Way, a 1959 session that captures the transition between the two trio configurations, is a most welcome addition to the bins. The earlier trios with Hall explored a kind of "folk jazz," music with a front-porch casualness exemplified by Giuffre's most famous tune, "The Train and The River." 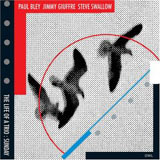 The Bley/Swallow trio was considerably more abstract and exploratory, as can be heard on the epochal Verve albums Fusion and Thesis, reissued by ECM as 1961. The Easy Way, with Hall and guest bassist Ray Brown, falls midway between these two groups, and thus provides a fascinating insight into Giuffre's development. The first five tunes on the disc are the most straightforward. Three blues, one unaltered (the swinging "Ray's Time") and two modified (the loping title track and Hall's intricate "Careful"), stand alongside two standards ("Mack The Knife" and "Come Rain or Come Shine"). 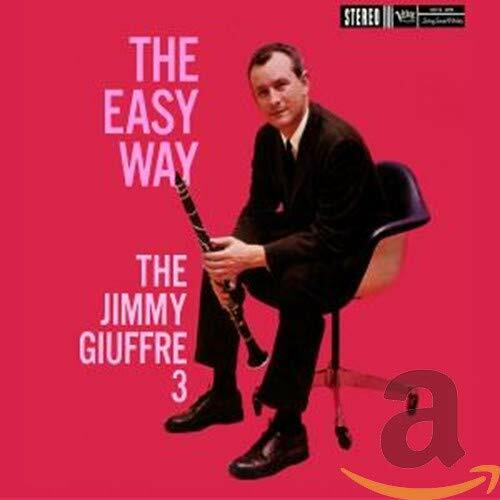 The way Giuffre picks up on Brown's melodic runs and rhythmic cadences in "The Easy Way" demonstrates his empathetic collective approach. Standards are not what this group was about, but they adapt these two well; "Mack the Knife" cleverly introduces each solo with an arranged unison statement by rotating pairs of musicians. The last four brief tunes introduce the approach Giuffre was to take with his next version of the 3. "Dream" is aptly titled: an ethereal, disquieting gossamer construction of unresolved tones. "Off Center" is charmingly so, but still propulsive; in "Montage," however, the abstraction is nearly complete. The almost psychic interplay here between Giuffre and Hall is typical of the 3, but Brown is a real surprise. He sounds glad to be liberated from the relative stricture of Oscar Peterson's trio, fitting seamlessly into Giuffre's conception while still providing a strong, swinging pulse. The remastering lets through some hiss but captures the music with impressive clarity, the audible sax key clicks and verbal encouragements bringing the listener across 44 years and into the studio. This is a fine reissue and an ideal introduction to two of Giuffre's classic periods.